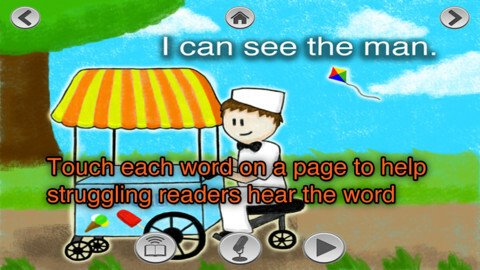 Super Readers – A Dolch Sight Words Based Story Book App That Will Help Turn Your Child Into a Super Reader! FREE again for a limited time – Super Readers, an animated storybook app for early readers! This educational app uses the Dolch sight words in 10 vocabulary controlled stories at 5 different reading levels: kindergarten, beginning first, middle first, end of first, and beginning second. Kids can choose to have the stories read to them with automatic text highlighting or they can touch individual words to have them read. Another great feature – kids can record themselves reading the book and then play it back. What a wonderful confidence builder for little ones trying to build their fluency! !